The building committee will also include three board members and two city councilors. It will be co-chaired by a School Board member and a councilor, chosen by board Chairwoman Anna Trevorrow. The committee’s purpose is to ensure there’s opportunity for broad public input and engagement in the elementary school construction process. It will be primarily responsible for making decisions on the $64.2 million school capital improvement bond approved by voters last November, including the order in which the buildings will be constructed. The work needed at Lyseth Elementary is expected to be the most costly under the $64.2 million bond, according to information provided by Oak Point Associates, the design firm hired by the school department to review the capital needs at all of the district’s schools. Construction at Lyseth is expected to cost nearly $18 million and would include new classrooms, gymnasium and cafeteria, along with additional space for the school’s pre-kindergarten, kindergarten and gifted and talented programs. At Longfellow, the work is estimated to cost close to $15.4 million and would include making the building fully ADA compliant, as well as a full asbestos abatement. The needs at Presumpscot include new classrooms, a gym and cafeteria, along with a “more functional” student drop-off and bus loop. In addition, the school requires “adequate space” for music, art and library programs. The construction cost there is expected to be $13.6 million. The school board hopes to make appointments to the new building committee no later than its first meeting in February. Once that happens, the committee’s first task would be to hire an architect to create building specific construction documents. AUGUSTA — A caucus of independent lawmakers is likely to have an outsized influence in the Maine House of Representatives in 2018 given that it could wield seven coveted votes in a chamber closely split between 74 Democrats and 70 Republicans. The group of six independent lawmakers, bolstered by their own office space and part-time staff, includes three former Democrats and two former Republicans. A member of the Green Independent Party also is caucusing with the group. PORTLAND, Maine (AP) — A small but growing number of independent state lawmakers who have weakened Democrats' hold on the House hope to promote compromise as independents seek to gain ground nationally in 2018. Rep. Henry Bear said Maine residents are issue-driven, not "strictly tied to Republicans or Democrats or unenrolled." "Mainers for the most part are frugal, very conservative and also they're very independent," said Bear, a non-voting tribal member who represents the Houlton Band of Maliseet Indians and is running for Congress. Two Republican representatives and three Democratic representatives left their parties this year in addition to Bear. They join two unenrolled House members who ran as independents. 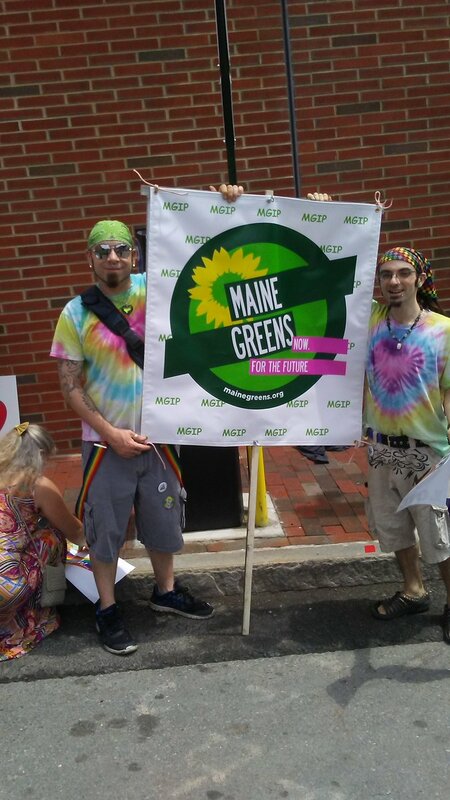 Two — Bear and Rep. Ralph Chapman — registered as Maine Green Independents and say they're among the highest-ranking Green lawmakers nationally. The lawmakers' reasons for leaving the major parties vary from frustration over partisanship and the influence of lobbyists and corporate donations on Maine policy-making to discontent at Republican and Democratic lawmakers' steps to undo, change and delay several laws approved by voters at the polls in 2016.